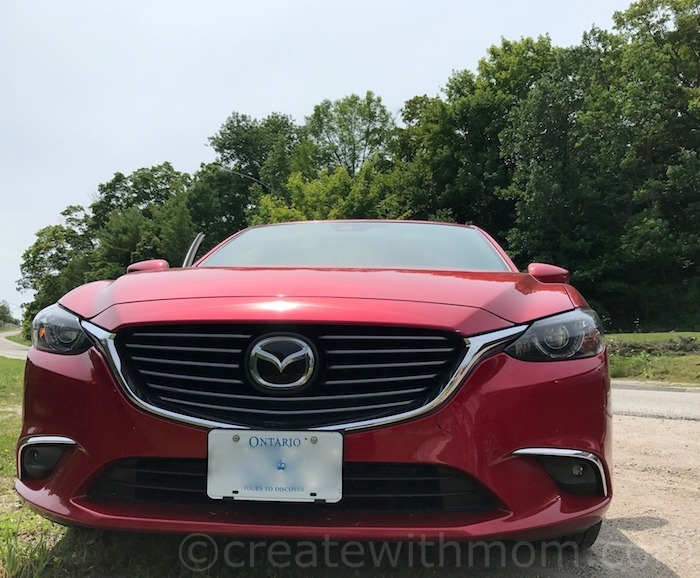 We enjoyed driving the 2017 Mazda6 GT car during our three-day trip to Manitoulin Island. This car was smooth and easy to drive in different terrains and different weather conditions we encountered. 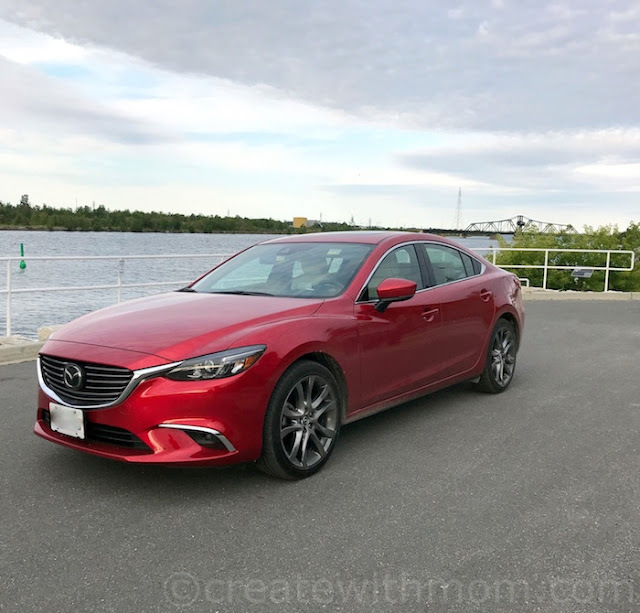 The fuel economy of the Mazda6 GT car for the city is 8.9L/ 100 km and highway is 6.7L/100 km, which is efficient as it enabled us to drive for longer periods without going to a pit stop. It has a front engine, front-wheel drive, and a SKYACTIV-G 2.5L Inline 4 cylinder. 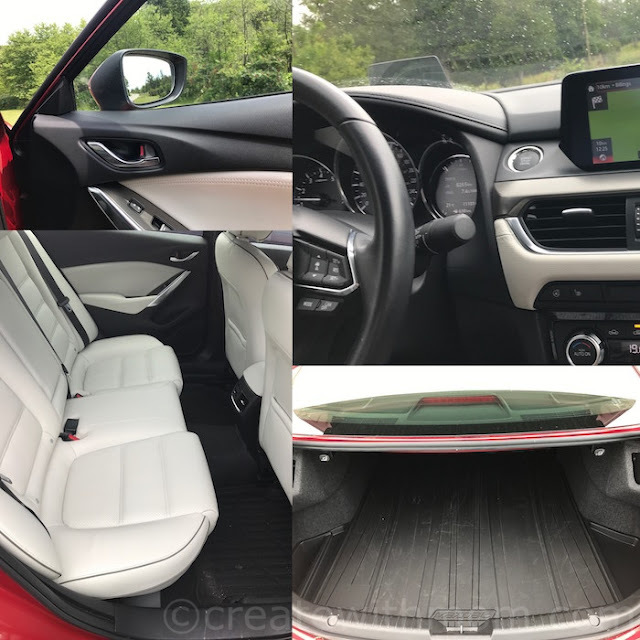 The soul red metallic colour exterior and leather upholstered interior makes this a sleek, beautiful vehicle that we all enjoyed. The luggage compartment is long and deep enough to put lots of belongings. This car has SKYACTIV-Drive 6 speed sport mode automatic transmission with paddle shifters on the steering wheel. We love the sport function of this car, as it made it possible to overtake vehicles when needed smoothly. 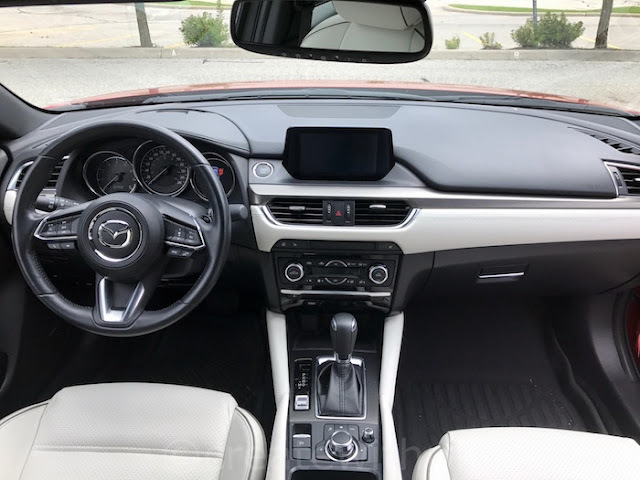 This Mazda6 GT has dual zone automatic climate control and a two setting memory driver seat. The colour active driving display is fabulous to have, as it shows speed and traffic signs without distracting the field of view. 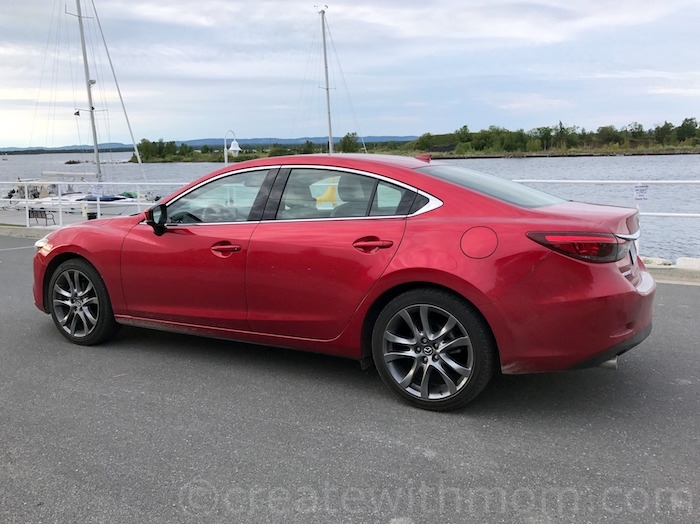 Some of the other features of the 2017 Mazda6 include the BOSE audio system with eleven speakers, power moonroof, blindspot monitoring with rear cross traffic alert, rearview camera and rain sensing wipers. We found the keyless entry and keyless system with push button start convenient for everyday use. We like that all the dashboards in Mazda vehicles are similar, especially the dial that makes it easy to navigate even when driving without touching the screen. The built-in GPS is accurate, fast, and is responsive with natural voice instructions which makes it easy to explore places we haven't been to. We love the design of the 2017 Mazda6 GT both inside and outside. This vehicle is a family friendly car perfect for everyday use. My husband used to have a car like this, he loved his Mazda. Someday we'll probably get another one. That car looks beautiful! I'd definitely consider it when I trade in my car!